The church of Our Lady of the Assumption and St Gregory, located on Warwick St in London, England, will celebrate the feast of Bl. 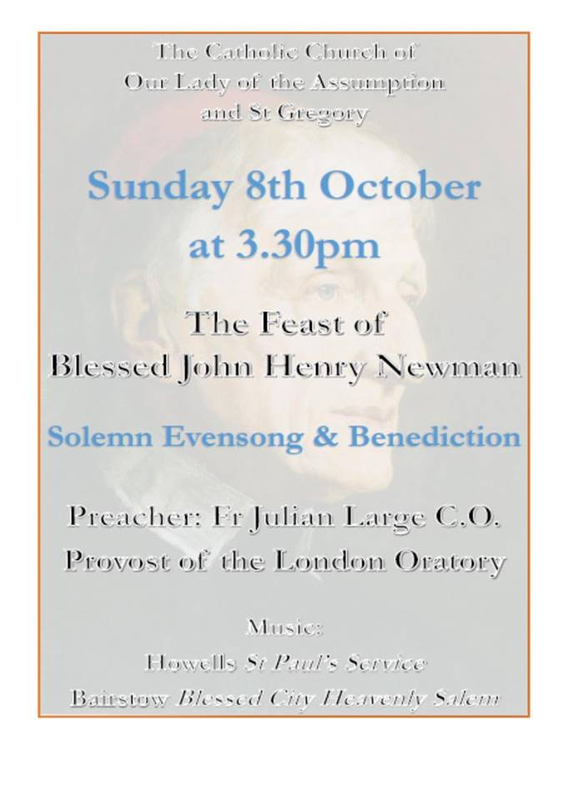 John Henry Newman, Co-Patron of the English Ordinariate, with Solemn Evensong according to the Ordinariate Use, a sermon, and Benediction, on October 8th, starting at 3:30 pm. The St Paul’s Service by Herbert Howell and Blessed City by Edward Bairstow will be sung; Fr Julian Large, Provost of the London Oratory, will be the preacher.